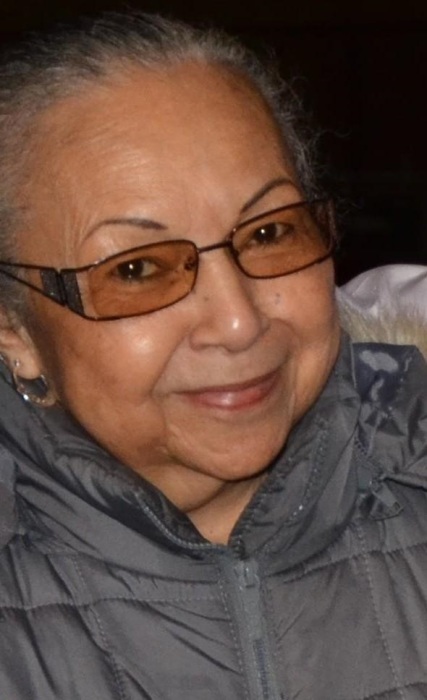 Lilliana Rivera, 71, of Lajas, Puerto Rico, passed away on Monday, April 1, 2019 at 8:35am in Brooklyn, NY. Funeral services will be held 5-9pm on Saturday, April 6, 2019 at Las Rosas Funeral Home with Pastor Ed Castro of Victory Outreach North Brooklyn officiating. Lilliana was born in Lajas, Puerto Rico to Luis Rodriguez and Asuncion Rodriguez Galarza on April 3, 1947. She was a beloved daughter, sister, mother, aunt, grandmother and friend. She was a stay at home mom that decided to go to college at night to get her GED, she then went on to study to be a nursing assistant because she loved to work with the elderly. She worked for MHRA as a health aide, helping women, infants and children through the WIC program until she retired. Lilliana is survived by her children Zaddia Mateo, Zarrah Mateo-Evans and Michael Evans, Luis Acosta; her sisters Luz C Rivera and Judith Rivera; and her five beautiful grandchildren, Moriah Sanchez, Elysia Leon, Nathanyel Stewart, Gabriel Cuenca, Zariah Evans and numerous nieces and nephews that she loved dearly. Her legacy of compassion, love and strength will be carried on by those she has left behind, and by those that were touched by her life and having known her. She had a servant’s heart and was very giving of her time, talents and finances to whoever needed it. We will cherish the beautiful things that were crafted by her hands with a lot of love and continue to go forward and make her proud. The family of Lilliana wishes to extend our sincere thanks to Dr. Flores and Dr. Veluswamy from Mt. Sinai hospital, the nurses at Boro Park MJHS Hospice, Francesca Robison from MJHS Hospice and Pallaitive Care for being helpful and supportive, and for our church family of Victory Outreach North Brooklyn that has gone above and beyond to make sure that our mom was visited and prayed for, and for showing her lots of love in her last days.